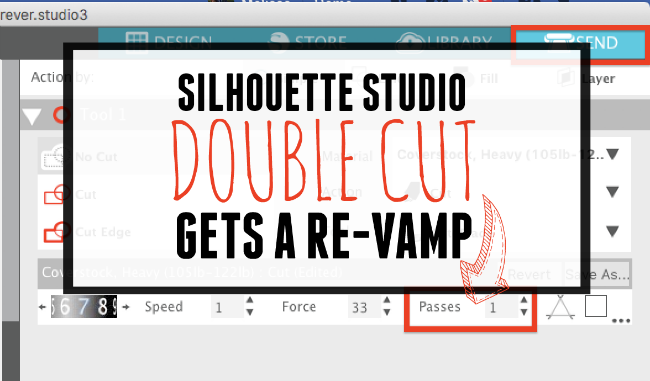 If you're looking for the Silhouette Studio Double Cut Feature in Silhouette Studio V4 you may have noticed it's missing. It's not really missing as much as it's changed. The Double Cut option - which would tell the software and the Silhouette Cutting Machine to cut the design twice - has been replaced with "Passes" in the Send panel. 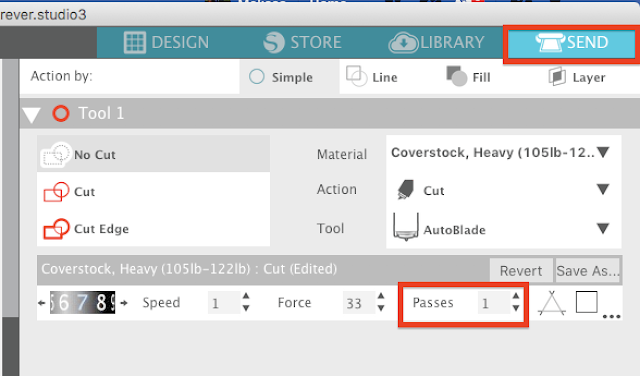 In versions of Silhouette Studio V4 and higher, you'll find Passes in the Send panel. But what's even better is now you're just not listed to two passes which is what Double Cut was. 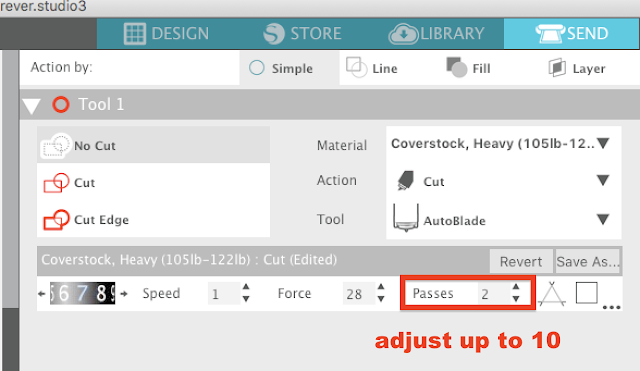 Now you can tell the software you want it to make up to 10 passes on a design. Making multiple passes is ideal when cutting thick materials like magnet sheets, leather, and felt. It's also great for sketch pens and engraving where a double-double cut (4 passes) was sometimes necessary. So if you're looking for Double Cut in Silhouette Studio, just find Passes in the Send panel and adjust the number anywhere from 1-10.